It’s time to head east to the beautiful town of Cascade Locks in the Columbia River Gorge! One year after the Eagle Creek Fire, the communities in the gorge are still feeling the effects. Please help them and patronize the local businesses #CascadeLocksStrong! TEAM COMPETITION: RACE NUMBER REVIVAL! You know those old race numbers stapled to the wall above your bikes? Let’s see how creative you are and what you can make with them! Score points on originality, utility, or absurdity. Winner will be announced at 4:15 at the last Podium Ceremony. NO CAMPFIRES Not the propane or wood type. The city requires a permit for any type of fire-making device. Garbage facilities are EXTREMELY LIMITED. If you pack it in, you will have to pack it out. NO PARKING ON THE MILL’S PROPERTY Please obey the parking signs. Absolutely no parking on the MILL’s property, you will be towed! You can park in the gravel parking lots. on the side of the streets, as long as people can still make it down the roads. There could be boat traffic as well going to the dock. Parking is also available back at the trailhead. NO EARLY TEAM TENT SET-UP OR PRE-RIDING Pre-ride and team tent setup will be on Saturday from 3:00 PM – 5:00 PM. Cyclocross Crusade Sponsors ONLY at 1:30 PM. There is no water onsite. YES BEER! 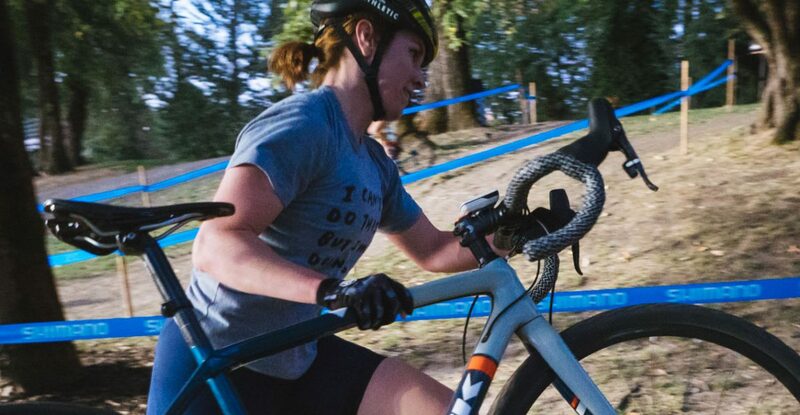 We will be selling Cyclocross Crusade LIMITED EDITION 25th ANNIVERSARY stainless steel PINT GLASSES for ten bucks, which also gets you BEER at the venue from Thunder Island Brewing (while supplies last)! YES RAFFLE! Tickets are $20 and 100% OF PROCEEDS benefit junior racing at Cyclocross Nationals. Please check the PODIUM schedule! Please be present and on-time to the podium. Your podium mates will thank you! YES RUN! Race #2 of the CRUSADE XC will take place at 4:30pm. Bring your running shoes and give it a go! PRIZES for Top 3 Men and Top 3 Women on the podium from adidas and Foot Traffic, our GENEROUS sponsors!